Another stop on our Saturday walking tour (check out my post from Jan 9th for the beginning). 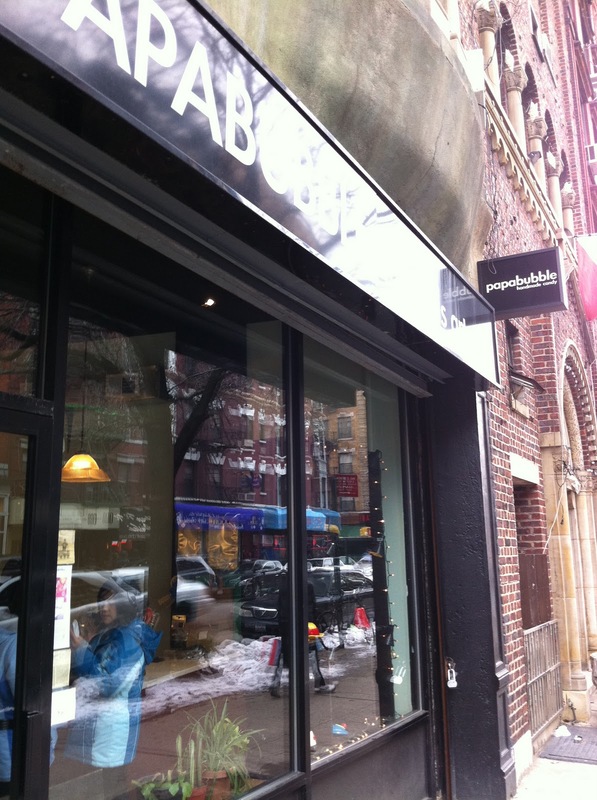 Luckily, there wasn’t as much to snack on at Papabubble, down near Nolita (yes, we covered some ground, and we aren’t done yet). 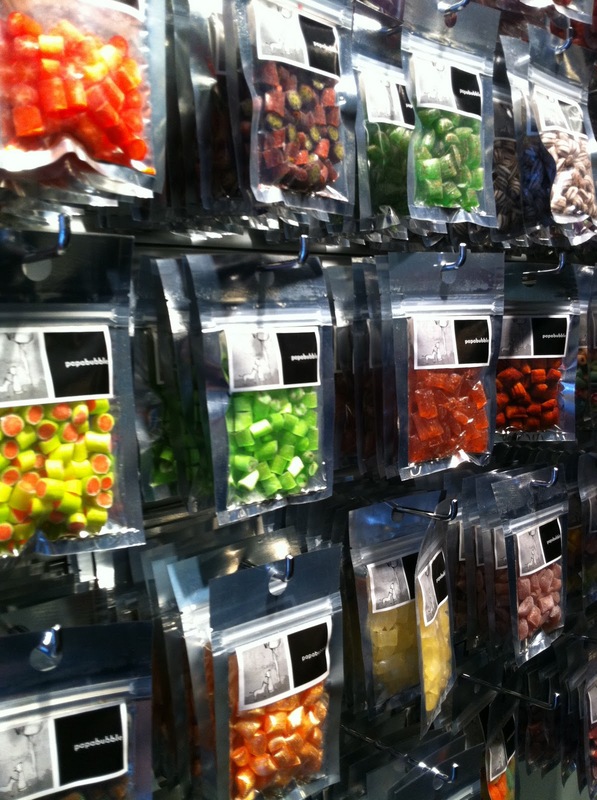 Basically, they are handmade hard candies in crazy flavors, shaped with love by what appears to be a just a few hipsters. People pull the hot candy behind the counter in this sparse little shop. 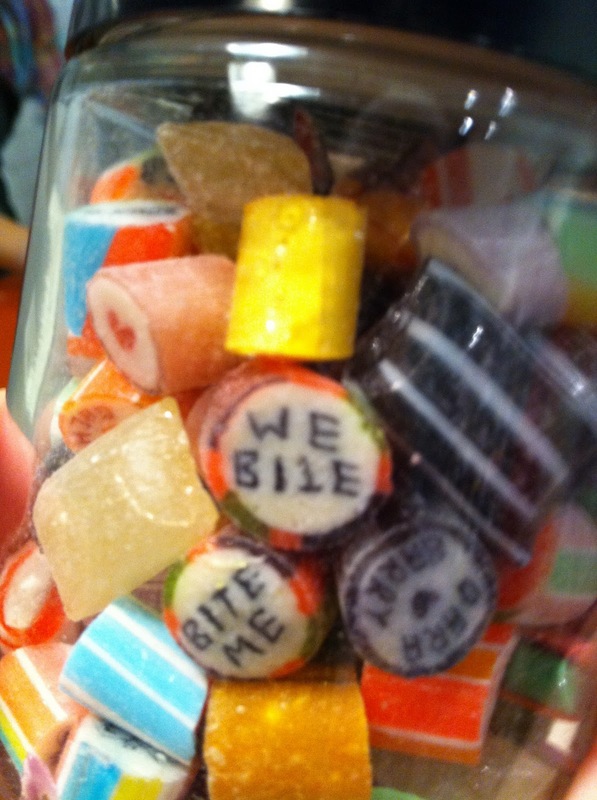 We watched them assemble the letters to spell out Dean & Deluca in the middle of the candy. She had the D and E going as we watched. It was actually hard to imagine how it gets as small as the candy below. And of course I was eager to try a piece right off the hot piece. Sort of fizzy and warm. The flavors are fun: fizzy cola (yes, it’s fizzy in your mouth, like pop rocks and the warm piece) and chili mango. Small bags like these are about $5. The way I eat hard candy (quickly), this would not be good for the wallet. 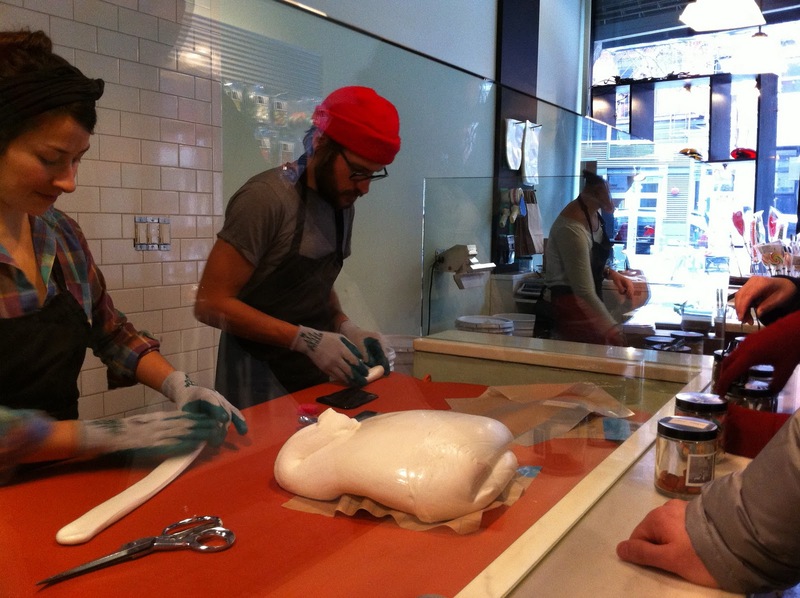 They sell large blobs of hard candy in no real shape. I think I could take a hammer to this and it would be a better deal. Not nearly as cute, though. They have shops in Barcelona (the original store), Tokyo, Amsterdam, Seoul and Taipai. So really this might be the easiest one to get to if you are stateside. < Previous Who Loves Cake?